Open to comments. Start a conversation (you don’t have to buy a drink here). You can “be” who you are or who you “were”… or even who you wanted to be. And if you like, you can say “Hi” to that person you never got the nerve to go up to and talk with… back then. Pull up a chair. Get comfortable. There are people at the bar in the front room. And across the hall, there are more in the sitting room. It’s quieter in the back dining room by the piano. But on the dance floor? Grab a drink and a cigarette because “these are the good old days”… The music’s playing and where you go to today, is all up to you (again). People all over the world, join hands! Start a Love Train, Love Train! OMG…….the memories flow. My first visit to Round Hill was in the fall of 1970. We drove down from New Paltz for a Halloween Party. As we approach the driveway you could see the burning torches illuminate the full front facade from Rte 208.. 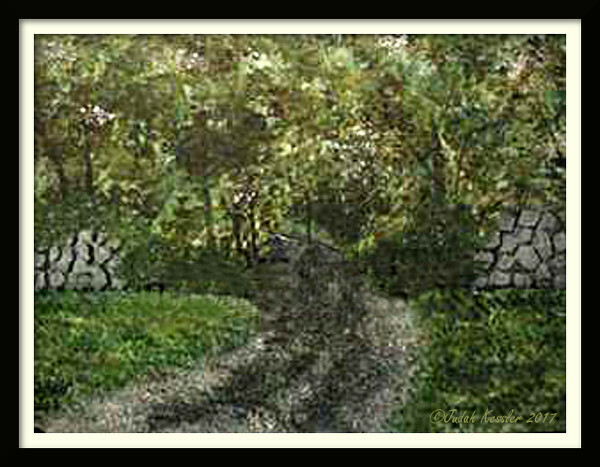 The long driveway was wretched with dirt and stones but the anticipation was relentless. I was all of 18 at the time. As you could imagine, a young blue eyed light haired young man with a 32″ waist, gave me more attention then needed. Drinks, cigarettes, and opportunities abound.I had to pay for almost nothing. My friend Craig took first prize that night for costume. He wore a simple emerald green flowing gown with matching turban. If memory serves me after a few months the operators of the club tried to encourage all of us to go to Aruba. As the story goes, they went with all the money made and paid no bills to their creditors. Round Hill was closed. Then,in 1972 a name change. It was now Mr G’s at Round Hill and the main house and cabins were hopping with excitement. I lived in Middletown the summer of 72 and spent much of my free time there. I had a brief affair with the main guy who managed the sound system. He came up from from Jersey with his lover who, unfortunately, spent to much time hung over. So, I was his replacement that summer. So many people, so many friends. I barely remember any altercations between anybody. Seemed love was truly in the air. I can still envision the main floor for dancing and the grand piano in corner of the room used for shows. I am now 65 and have lived in Poughkeepsie over these past several decades. I have driven Rte 208 South to try and find remnants of the old main house. Another friend of mine and I are trying to pull together a retrospective of all the bars in the Hudson Valley. We were not able to find info. on Round Hill until today. It finally came to me that the second time around it was called Mr G’s Round Hill. That led us to this site. It was a wondeful part of my coming out years and I would not have changed a thing. I don’t know where to begin or what to say here… Memories are bounding all over in my mind, my eyes see just blur through the tears. Thank you… while I read your message, the bumps, pot-holes and small lakes in the dirt drive way were as fresh in the head-lights now as they were… 40-some years ago. And when I read ” So many people, so many friends. I barely remember any altercations between anybody. Seemed love was truly in the air.” the music came up on the juke-box and the dancing began! We were truly, I’d have to say, the “blessed ones”. As you say, G’s was a “wonder part of… coming out” and like you, I wouldn’t change one split second of any of it… (even the “broken heart” and “missed opportunities” moments). Silly of me but I can’t help but think: If there truly is a “here-after” and we really DO get re-united with the people we loved most in life when this old life is done, when my time comes to leave here, I’d like to believe I can go back… to that old white house and ALL of us can be together again. Thank you SO SO much for finding this blog and for posting your message. Hopefully others will find it… and little by little… we all WILL get together again. I have to ask: Was Craig from Greenwood Lake? With ALL of my heart and soul, Thank You, so very much, for your visits here. Even if you don’t leave a message, it’s a great comfort to know that this story is read, this piece of history is being known, and a beautiful and precious legacy lives on. As I look, often, up into a night sky, I have to believe that some-where, “out there”, there’s music playing, people dancing, laughing and keeping Love very alive. And with each visit, from strangers who never had the blessing of knowing this place and its people, or from, perhaps, those who did, the music continues, the dances keep moving, and the memories of all remain alive and vibrant. Thank you. I doubt you’ll ever fully understand to great wonders you all maintain. But do know that some-where, “out here”, some-one is wishing you every perfect blessing possible. You’re keeping an ever-aging heart full and keeping embers of warmth and brilliance glowing. You’re precious people… you truly are. Thank you ALL, for the Likes & Follows! Thank you for the smiles and the “happy dances”.